Well the other day I went up to the Freud Museum, in London. 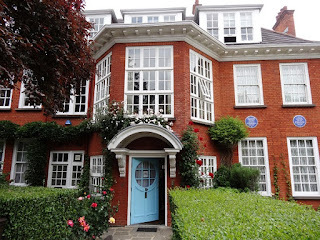 It was the last place of residence of the father of psychoanalysis, Dr. Sigmund Freud, up until his death in 1939 - and of his daughter, Anna Freud, who lived there up until her own death in 1982. She stipulated that the house should become a Museum, and in 1986 this came to fruition. 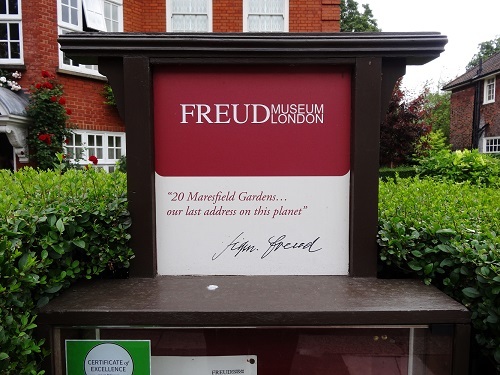 I found the Museum in a quaint part of Camden, London, in Maresfield Gardens. 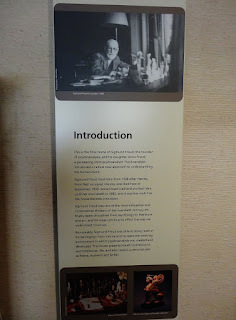 When I entered the fascinating place it was a real eye opener to see Sigmund Freud’s many artefacts, books, furniture and most importantly of all his Psychoanalysis’ couch, where many a human subject sought treatment from their symptoms of mental distress. I took a few photos; and it was interesting reading through some of the books and text Sigmund Freud wrote while he was alive. His title as the ‘The Father Of Psychoanalysis’ is fully justified, as many of his teachings are in tune with the present day, just as when they were first written in the early and middle part of the twentieth century.